Discussion in 'Giveaway, Contest & Raffle Forum' started by Spark, Mar 17, 2019. Week 12 is here, and we've got a beauty! 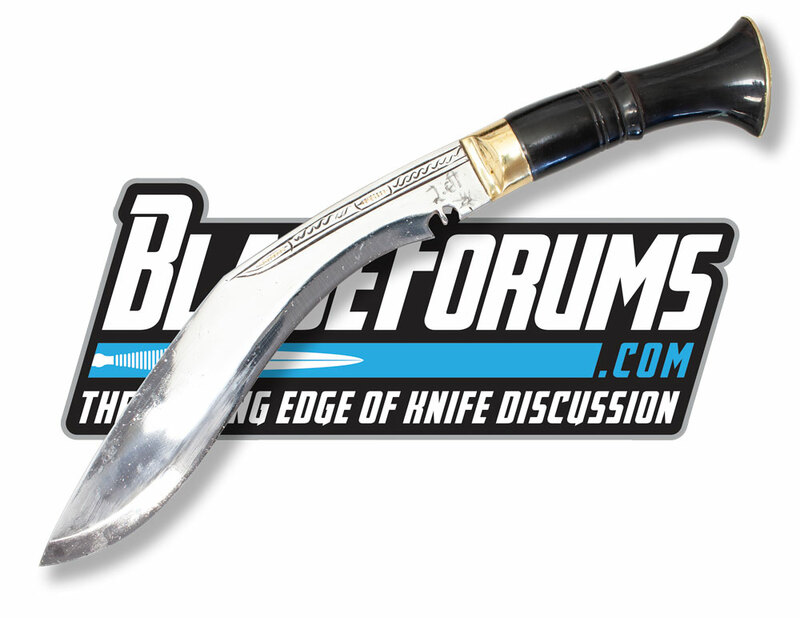 Himalayan Imports 12" Sirupati Khukuri! One entry per household. Duplicate entries mean you get disqualified from the contest, same if I discover you have multiple profiles. Main prizes are limited to members with paid subscriptions, or registered users with a registration date prior to November 2, 2018 - this is to combat people registering multiple free accounts to stack the deck. Your profile must be up to date with accurate contact information. You must be over 18 years old, by entering you certify you are eligible & winning this will not violate any laws in your location. Shipping will be covered in the US & Canada only. You are welcome to enter if you live outside North America, however you'll be responsible for shipping charges, and I have no idea if customs will allow the item in your country; if it's seized, it's on you. Bonus prizes will be open to any member with a registration date prior to November 2, 2018, no letter required. Make sure your profile contact information is up to date! If you win a physical prize, I'll need contact you to get your address for shipping! NEXT WEEK'S GIVEAWAY: A Cold Steel Coyote Brown Trench Hawk! Giveaways are determined by you guys voting in the poll in each thread; we do family rules: 'everyone gets firsts before anyone gets seconds' - every manufacturer gets a chance to have their donation given away before they go back in rotation. Manufacturers who donated multiple goodies: Kizer, Boker, Buck, Spyderco, Benchmade, Ka-Bar, Cold Steel, White River, Himalayan Imports, etc - so once they have been picked, they won't go back into voting until everyone else gets a chance. We've finally gotten through all the donors for the first batch, after next week we will go back to you guys voting! 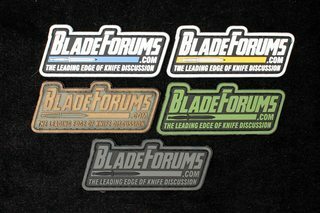 IT PAYS TO WATCH THE LIVE STREAM: Random prizepacks have been awarded including a Benchmade Ambush, SOG Powerlock pliers, a Himalayan Imports Kukri, stickers, hats, an ESEE Arrowhead, a BFC W&S patch, and more - who knows what I'll toss at a winner next week? I'm I please thank you BF! I am in, thank you. I'm in, thank you BF. I'm in on this one... Thanks!